We are a team of experienced technicians who provide dealership quality service, with the personal touch of an independent repair shop. Ford Repair is our specialty, and our experts can solve any problem, no matter how complex. Chevrolet Repair is a part of our daily routine. You can be sure your vehicle will be serviced by highly-qualified automotive technicians with consistent quality and care, no matter what type of repair. A Jeeps's versatility can never be understated. No matter the damage sustained in your adventures, you can be sure our Jeep Repair team will get you back on the road as soon as possible. As your premier auto specialty shop in Lafayette, our highly trained automotive technicians take pride in every Ford Service that rolls through our shop. Does something feel off when driving your Chevrolet? At Stan's Ford, Chevrolet & Jeep Repair, we offer everything from basic maintenance services to advanced Chevrolet Service for all models. Stop by to make sure your Chevy performs at its best. "Appreciated & respected. Customers are treated like the owner would.."
"There is no place better, no place more reliable, and.."
"I can trust them to do great work." "Very honest and thorough. Using the latest technology they are.."
"From customer drop-off to pick-up, the attention & quality seem.."
"I wouldn't take my car to anyone else. I'm.."
"the people at Stan's treat you as family..I can always.."
"Stan's always gives me the best service and it is.."
"STan's is the best there is. They always make.."
"I would tell them I fully trust the staff at.."
"Very trustworthy shop that does good work at fair prices." "Stan's is trustworthy. I tell anyone who asks me about.."
"I would tell them that they shouldn't go to any.."
"I have used Stan's for probably close to 40 years,.."
"the staff at stan's go out of their way to.."
"I am always satisfied with Stan's service and promptness, as.."
"I feel comfortable with the analysis of issues with my.."
"I've recommended you before based on reliability, honesty, friendliness, experience.."
"You guys are amazing, knowledge, friendly, and honest!" "Always feel very confident about work Stan's tells me needs.."
"Great service. The guys are great about calling first to.."
"Great integrity with no games. Oil changes cost more.."
"There is no place better!!" "It's the only place I would take my vehicles. Very.."
"They should definitely take their car to stan's. I.."
"The best shop around. You get what you pay.."
"you can always trust Stans to be honest and take.."
"I just did a few minutes ago on Nextdoor. .."
"It is the best, most caring group of people to.."
"3 things you want from your Automotive Mechanic. Do excellent.."
"Good service. Confidence in staff to maintain my vehicles.."
"I would say that I have never had better people.."
"Sran's is a good place to have your car serviced or repaired"
"They provide the best most honest service ever." "Stan's Automotive isn't the lowest price around but we've found.."
"If you have work needed on your car that does.."
"I have been a very satisfied customer for many years..."
"Good place to go for auto repairs. They are.."
"The quality of work and customer service are the main.."
"Excellent service at a fair price, without upselling of other repairs." "I highly recommend Stan's Automotive,you will be always receive friendly,.."
"High quality service that is honest and value conscious." "Stans fixes it right the first time and only fixes.."
"Excellent customer service, honest estimates and options"
"Stan's is the place to go for professional, honest service!.." "I always recommend Stan's to our friends because.."
"I have recently switched to Stan's for my automotive repairs.."
"They are the best, honest, very friendly, quality work, very.."
"I've been having Stan's service my automobiles for at least.."
"Great customer service - attention to detail with my best.."
"This is the only place I trust to work on.."
"Stan's is simply the best there is. Prompt, courteous, and.."
"Honest, straight-forward and trustworthy! I like how they spend.."
"I would recommend Stan's as the first place and only.."
"Awesome work! Very professional and friendly. Definitely going.."
"I would say they are expensive, but (hopefully) trustworthy. As.."
"I have always been satisfied with my repairs and impressed.."
"Great service, folks at Stan's are great at telling what.."
"That it is the one Car Service Shop I want.."
"Good, reliable service, helpful and friendly people." "Excellent service. I trust their work." "Service is excellent, always honest, work is always done to satisfaction"
"Great automotive repair experience. Highly recommended." "Stan's is the best! They are honest, fast, and their.."
"a quality shop that will be clear and honest in.."
"You will necer regret it. Best place in the area"
"Very good customer service, work normally done quickly and well." "Stan's is ONLY place we ever go for automotive service..."
"Honest, forthright, and as far as I know, people with.."
"Very honest and professional shop. I feel very confident and.."
"Stans is always there when I need them and always.."
"I've consistently received courteous and professional service." "Best quality service at fair price coupled with a "common.."
"It's the little things that count. I have two dogs.."
"I was completely impressed with the customer service and thorough.."
"Stan's staff members are knowledgeable, thorough, and courteous. I've always.."
"They are the best, they're reliable, personable and most importantly honest." "They did a great job on my vehicle, and everyone.."
"I would recommend them highly!" "They've worked great for me for years." "They are always concerned with my needs"
"In general...well above average to excellent"
"I always highly recommend Stan's for being the most honest,very.."
"I would recommend Stans! I feel like they are honest.."
"Customer service and quality of work is outstanding. 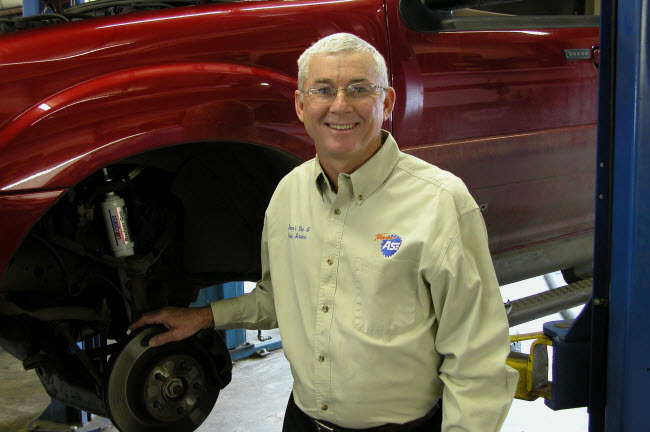 Stan's.."
"Stan's Automotive mechanics provide quality work, they are honest, professional and efficient." "The best service station I've ever been to, and there.."
"It's the only shop I visit, because the people are.."
"You'd have to live a very, very long time to.."
"Excellent use of the Internet and text to schedule repairs.."
"THE PEOPLE AT STAN'S ALWAYS TAKE CARE OF ME"
"That they are the most professional mechanic shop around and.."
"Stan's quality of service is excellent and all their staff.."
"very reliable, excellent customer service and their estimation for the.."
"We have been going to stans since 1989. We keep.."
"Don't go anywhere else other than Stan's! They do.."
"I would recommend your services." "Great mechanics. No problems, ever with the work they have done." "It is the best shop around. They're extremely professional.."
"Excellent. Honest, fair service. They take care of you and your car." "Generally it's very good. However, yesterday I was charged $57.50.."
"They always seem to be looking out for my best.."
"Stan's had to do a lot of work to my.."
"I have been going to Stan's for 20 years and.."
"Great service, knowledgeable mechanics, reliable and work with honesty and integrity!" "I am always treated as a number 1 customer"
"Awesome, amazing. Always very professional, they work hard and get.."
"Honest business practices and quality service means we'll keep coming.."
"It is all top notch and very nice people." "I am a Rocky Mountain Christian Church partner and received.."
"Great place. Been going there for 26 years." "Solid work, and excellent customer service. Kept me up to.."
"Always very helpful and quality of work has been outstanding." "AWESOME!! You can trust them with your car!!" "Honest, trustworthy. Stan's always ensures the best quality service." "Reliable and honest. Great customer service." "Stans has always treated me with the respect and courtesy.."
"Stan's is the most honest, reputable automotive service I have.."
"Stan's doesn't try to sell you a service you don't.."
"Excellent service, reasonable prices and perfect customer service." "I moved to Stan's because I had to continually return.."
"I would tell them that my family has used Stan's.."
"Family owned business with a reputation of quality and honest.."
"Excellent service!! Will continue to go here." "Great work from honest people. Highly recommend." "Very professional. Clean waiting area." "Stan's treats its customers right & operates with integrity. They.."
"Great place to have your car worked on. Very honest..."
"Customer service is amazing, Stan's is honesty and trustworthy!" "Great and qucik service! Friendly People!" "Stan's is a highly reputable company which responsibly stands behind.."
"Great quality and Great customer service." "Very good. Worth going to. We don't ever feel like.."
"Found your employees very friendly, got the job done fast.."
"I alway's trust Stan's with my cars"
"Top-notch shop! Have brought our troublesome car in several times.."
"I usually do my own repairs and I restore vintage.."
"They are honest, friendly and knowledgeable and they've been a.."
"Excellent service, fair prices and work is done correctly, always.."
"quality of work is great and my car is very.."
"The front desk person was friendly, was aware of what.."
"They did amazing job great staff. They made me feel.."
"I would recommend Stan's for automotive service to all my friends." "You always treat us fairly and keep us informed of.."
"everey one at Stans is very freindly and goes the.."
"I've been coming to Stan's since 1991 and the service.."
"I'm impressed that they took the time to educate me.."
"Stan's is a great Automotive place, they do great work.."
"I appreciate the friendly staff and the quality work my.."
"Excellent customer care and follow up; besides the Sprite tastes.."
"Excellent and trustworthy. They're good at preventative maintence that needs.."
"We Trust Stan's to provide great service and honest estimates.."
"Qualiy workmanship and excellent cusomer service"
"exceptional service, go above and beyond and provide honest appraisal and options"
"They are great; polite, caring, and honest." "I have been using Stan's Automotive since 2005. I won't.."
"A repair shop I can trust and expect a great outcome." "Great customer service, quality work and always friendly. Stan's really.."
"I would always recommend you guys." "Take their underperforming auto to Stan's as fast as it will go." "The service is personal, exact and price competitive." "I would tell them that their staff is exceptionally friendly.."
"Solid work, friendly staff, reasonable prices." "I've reCommended you guys several times. You hire good mechanics.."
"I have a high level of faith in the people.."
"Excellent customer relations and great quality workmanship. Have worked on.."
"great place to take your car. work is done well.."
"Stan's is very reliable, trustworthy, clean, and friendly, with reasonable prices." "Outstanding! Stan's is very good at diagnosing the problem and.."
"They are honest and do a very good job." "I was very satisfied with the way I was treated.."
"great place to have your car serviced!" "Excellent quality of work and customer service. Highly recommended." "They're the best. Very thorough and reliable.8"
"Superior, superb, excellent, outstanding, stellar!!!! :)"
"I always know that the work will be done right.."
"Over the years that we have used them, we have.."
"I'd say they do great work and are honest about the repairs." "I think it is great and would highly recommend them..."
"I get excellent service at Stan's, the mechanics are very.."
"Get to Stan's as fast as you can." "Stan's group is very friendly and helpful. They explain things.."
"Great place to take car. Excellent service & professional help.."
"I would say they are always reliable. I would recommend.."
"Outstanding. These are honest people. They will not sell you.."
"That I feel you are trustworthy and fair. I feel.."
"Everyone is very helpful and kind"
"I would highly recommend Stan's. We use them exclusively for.."
"great professional service. courteous employees"
"Trustworthy, skilled workmen, fair and curteous. I would not even.."
"Very high quality work, plus they back up their work.."
"Very professional and the waiting area is clean and welcoming..."
"I have been going to Stan's for 20 years. You.."
"Stan's is always attentive to our needs, does excellent work,.."
"Stan's is the ONLY automotive repair shop my family and I use,period!" "Vary fair and always honest with their customers"